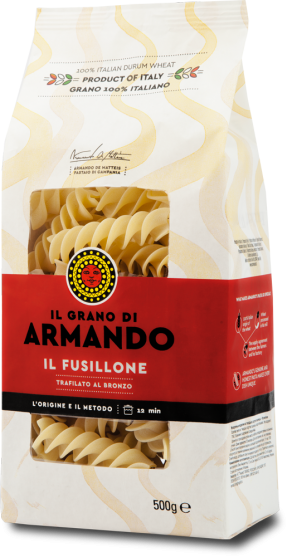 Grano Armando do many traditional shapes, but also less known, such as these ‘Fusillione’. Not all pastas are exactly alike and for this product, excellences exists. They chose to produce pasta with 100% wheat coming from Southern Italy, involving the producers of a wide land between Campania and Puglia, far from sources of pollution and industrialization. 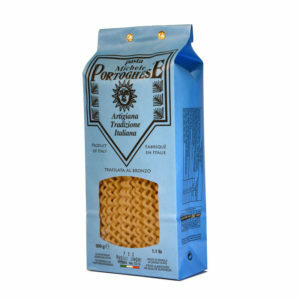 The result is a certified pasta produced with selected wheat. 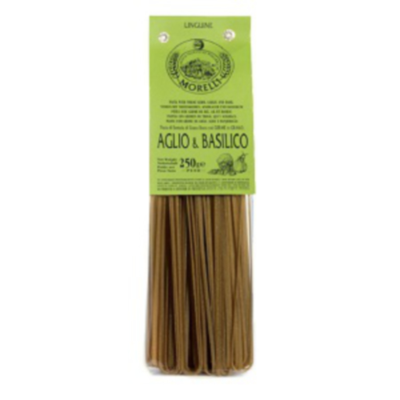 This meticulous selection of wheat allows to produce a high protein pasta, digestible, tasty, with an intense scent. Besides flavour and tradition, the company worked out a strategy according to principles of ecology and respect for nature. Even the packaging can be recycled as paper.